Iakovos Volkov better known as NAR comes from Russia, but now is based in Greece. 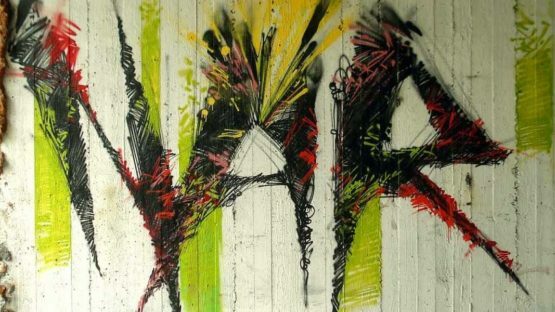 He considers himself an experimenter, rather than the street artist, and his method of combining and implementing anything that he finds in his surroundings, just confirms this statement. Passion is his driving force, and creating art is as important for him, as it is breathing. His approach is everything but conventional, because his creations are more about the concepts, and giving objects a new meaning and a second chance. Street and vast abandoned places and buildings have been his galleries for most of the time. He was born in 1982 in Novorossiysk, but he moved to Thessaloniki in 1991. Since he was a child Volkov liked to draw, and when he was 13 he had his first interventions on the street walls. This self-thought adventurer says that instead of pursuing an artistic career, he lives a lifestyle that is very much defined by the art. Life as such is what inspires him most, alongside the instinct for creation that exists inside him. At the beginning, his artworks were inspired by the H.R. Giger and didn’t have a political connotation. As he was growing up, NAR gradually made a transition from spray cans to diverse tools and materials. The need for creativity has forced the artist to look for the alternative ways of expressing his hidden talents. In the periods when he lacked money, Iakovos started to collect discarded objects like clothes, fabrics toys, and shoes that can be found next to garbage bins, inside devastated industrial zones, or in abandoned buildings. More than five years ago, Volkov has made a change in his approach, primarily focusing on making installations and sculptures. Although he doesn’t have any specific theme in his street artwork, the artist concentrates on the materials and spaces. He likes to experiment with materials such as nails, burned carpets, fuel oil, threads, and cans. 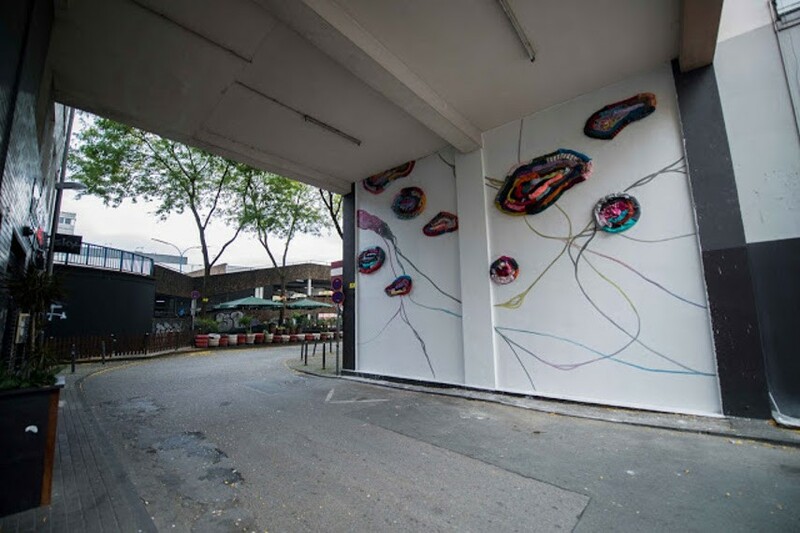 NAR’s every project is site-specific, which means that instead of occupying street and using just one wall as the canvas, he blends the whole space into one piece of art. 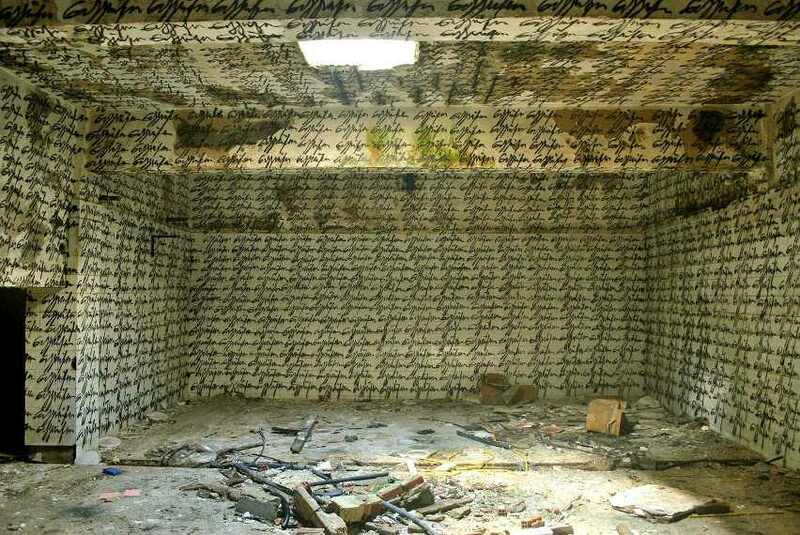 Therefore, his creative process and his personal signature are defined by the abandoned places. Since moving to Athens, a few years ago, his projects have been seen by a much bigger audience, outdoor, but also indoor. 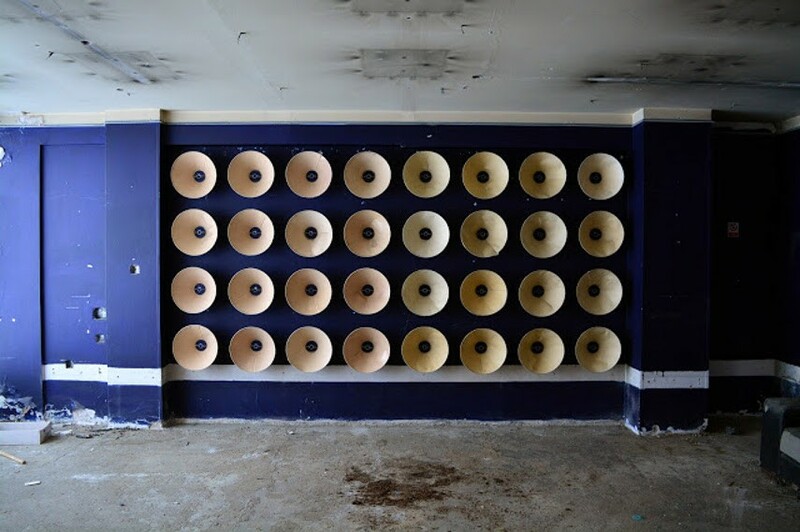 Installations and interventions that include words like Lie, Fire, etc., carry a strong visual statements, and convey messages and comments on everyday experiences. NAR’s works can be seen in numerous cities like Larnaca in Cypres, Essen in Germany, Rome, and many more. NAR lives and works in Athens, Greece.